One of the collectible types in Uncharted: Golden Abyss are the Bounties. These drop randomly from fallen enemies throughout the game and represent things that might have been found in the area you’re fighting in. But many of these items are scarce, and some are really rare. You’re not going to collect all these on a single playthrough! 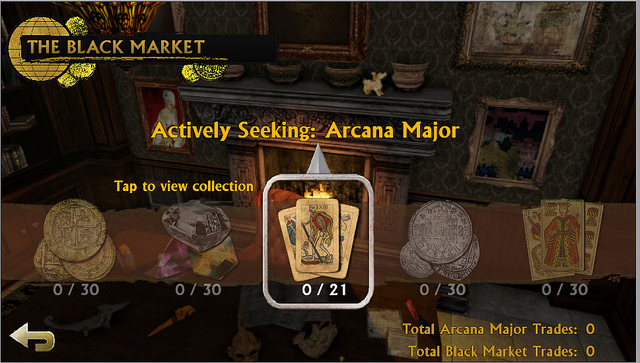 To make it a little easier to collect all the Bounties, Bend Studios has created The Black Market. This is a near application that allows you select a Bounty type from your collection and send a request out to the Black Market. If any other PS Vita players out there (in the area where you made the request) have a Bounty that you’re missing, the Black Market will send you a copy of their Bounty, even the rarest collectibles. 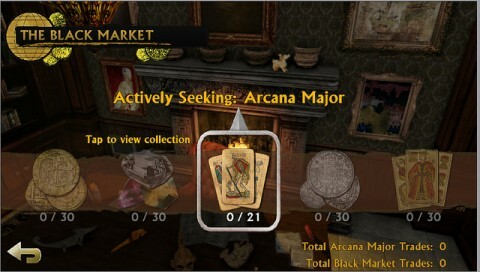 Bend Studios even created a sixth Bounty type that you can obtain only through near: if you send a request to the Black Market and no one has what you need, the Black Market will send you a carved Fetish for you troubles.